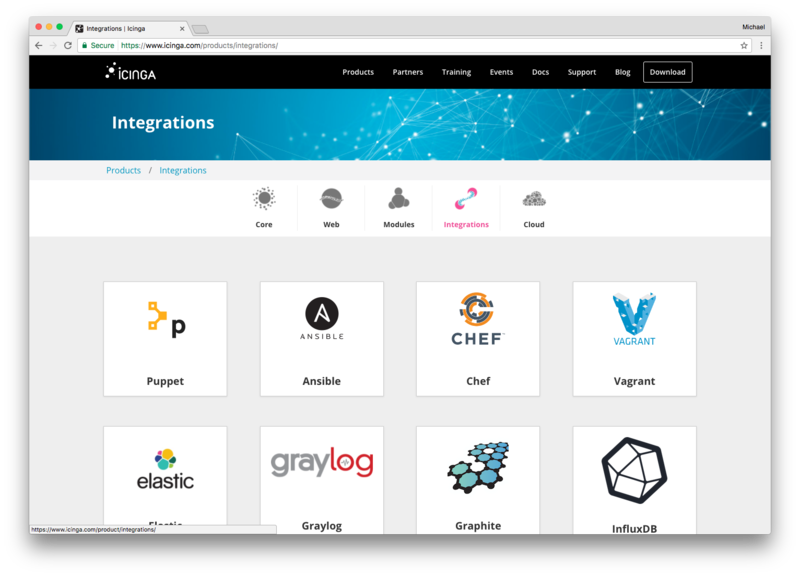 Our focus is clearly Icinga 2, Icinga Web 2, modules and many integrations these days. 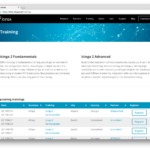 Icinga 1.x is slowly fading out, and may confuse new Icinga users. There are so many things to highlight and show, and the website got a bit overloaded with (outdated) text and a full blown menu. 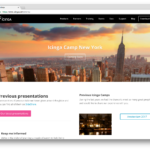 We’ve therefore taken the steps to redesign the website and its content. 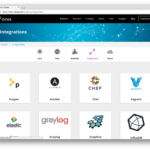 Choose products and get a clear vision about Core, Web, Modules, Integrations and more. 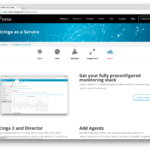 If you are looking for professional support partners, it is just one click away 🙂 Our partners provide official Icinga training and support options to better get you started with your Icinga monitoring infrastructure. The event section has been revamped too, so now you can checkout upcoming and previous events, slides, photos, etc. 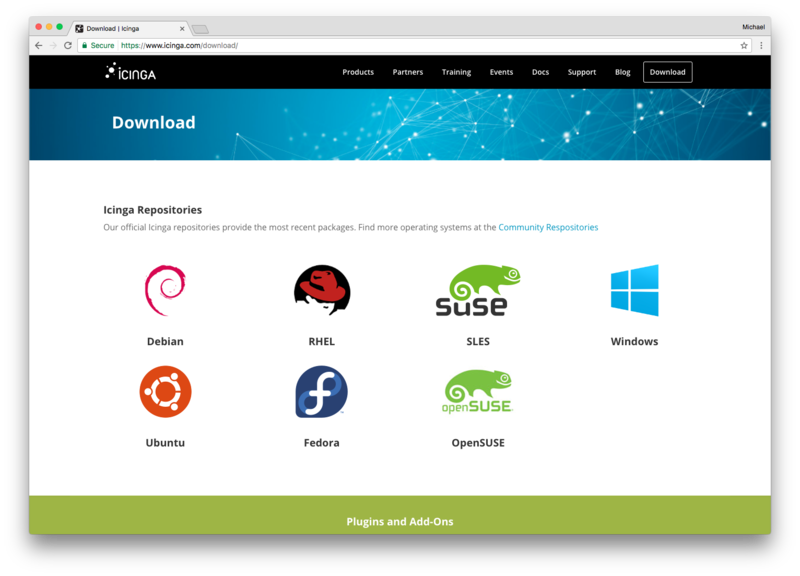 Last but not least the Download section focusses on package repositories to get you started within minutes. We’ll join OSMC on November 21st to 24th again 🙂 Call for papers ends today, so if you have a story of yours to share with our great community, submit a talk! Make sure to join us in lovely Nuremberg, especially consider the community hackathon on Friday! 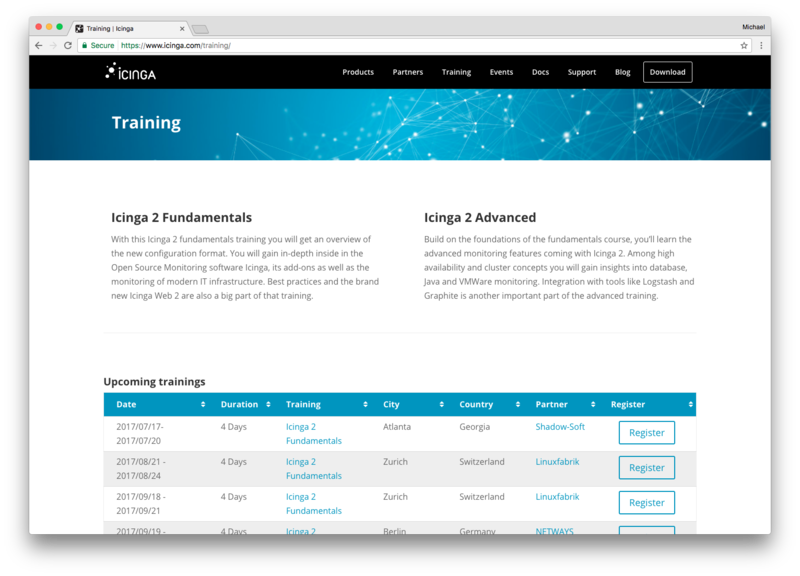 We’ve brought you Dashing for Icinga 2 v1.3.0 in July. 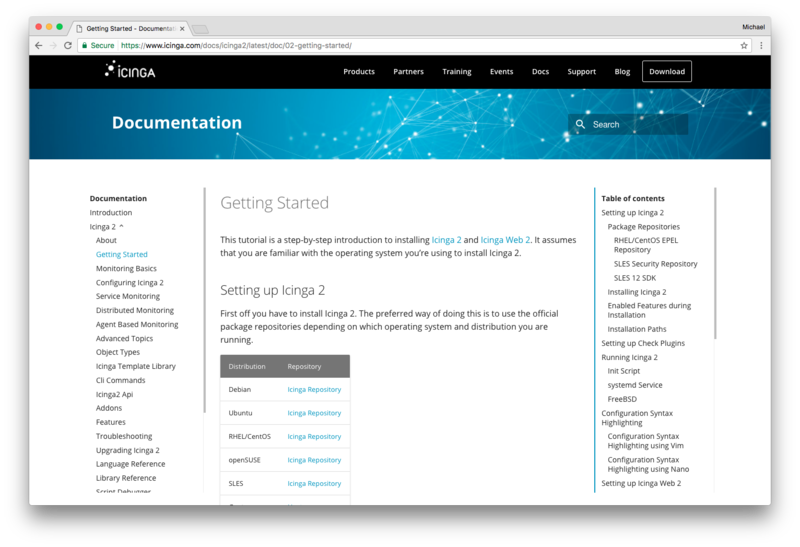 Since the RHEL Kernel bug was waiting for being resolved we did not yet release Icinga 2 v2.7. This is planned for this week once everyone returns from their well deserved holidays. 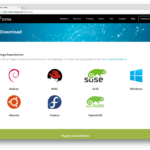 Meanwhile ensure to upgrade your Kernel to the latest stable release (RHEL, CentOS). Monitoring Windows clients with local NSClient++ checks was one of many questions asked in our support channels. 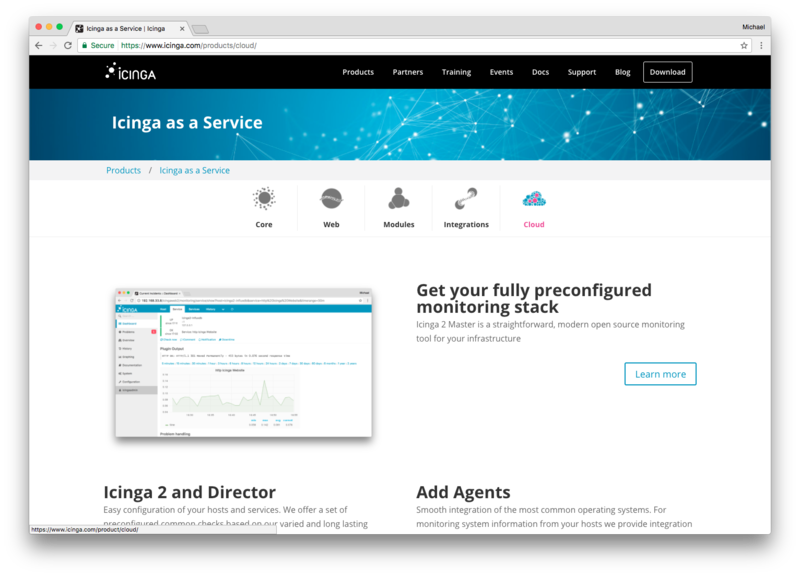 Once we release Icinga 2 v2.7 we’ll return with the new check_nscp_api plugin for more Windows insights. 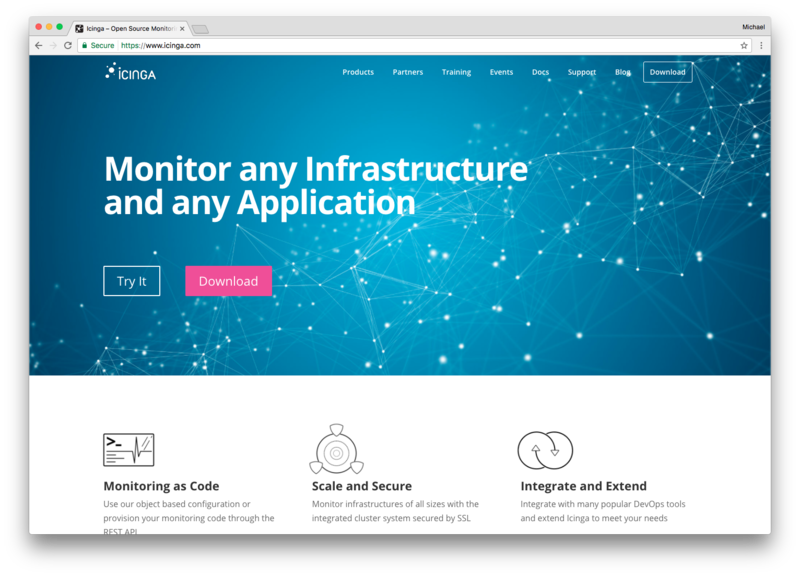 I suggest to simply use our monitoring API for that! 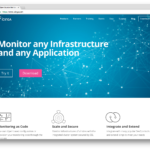 https://t.co/qHY4rNztdD -> easier, integrated, supported ? 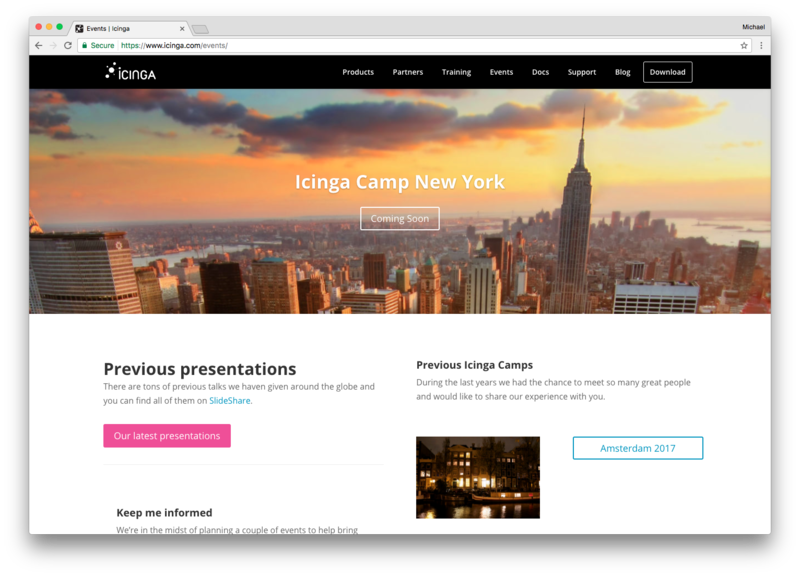 Lennart and the NETWAYS team continued to publish interesting articles about Icinga 2, Puppet, Director and more. Was gibt es neues vom Director?